Gontran de Quillacq, legal consultant / expert witness. Gontran de Quillacq has over 20 years of experience in portfolio management, derivatives trading, proprietary trading, structured products and investment research. He has worked with top-tier banks and hedge funds in both London and New York. Background Experience - After his European and US education, Mr. de Quillacq traded derivatives for two decades, from vanillas to exotics, both proprietary and client-facing, at top-tier banks in the square mile and on Wall Street. As a portfolio manager, he researched and managed investment strategies, delivered both in hedge fund and in structured note formats. He initiated the distribution of investment strategies through derivatives, an activity now called 'portable alpha' and 'smart beta'. For the following five years, Mr. de Quillacq ran due diligence on investments strategies and selected senior investment personnel for some of the world’s most famous and most demanding hedge funds and asset managers. In 2017, he co-founded a quantitative activity deploying the latest machine learning techniques in global long/short equities. Litigation Support - Mr. de Quillacq's own investment experience and his cross-sectional review of other professionals give him unique experience on what can be done, what should be done, what should not be done, and the grey areas in-between. During a personal case, his legal team was so impressed by his wide and thorough knowledge in finance, his capacity to explain complicated ideas in simple terms, and his strong performance on the stand, that they strongly recommended he expand into litigation support services. Mr. de Quillacq is now a FINRA/NFA arbitrator, a member of the Securities Expert Roundtable and an IMS Elite Expert. He has consulting affiliations with Barrington Financial Consulting Group and Ankura (Navigant). 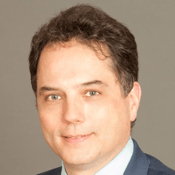 Mr. de Quillacq is an alumnus of the Ecole Normale Supérieure de Lyon in theoretical physics, obtained his doctoral degree in electrical engineering at Sup’Elec and became in 1995 an alumnus of HEC Paris (MBA, Finance). He was an international fellow in atomic physics at the Stanford Research Institute and a visiting scholar in differential algebra at UC Berkeley. Mr. de Quillacq served as an army officer during the first Gulf war. Mr. de Quillacq's services are available to attorneys representing plaintiff and defendant and include written reports, deposition, arbitration, mediation, and trial testimony as needed. - the analysis of losses, frauds, manipulations, or the use of derivatives for unsavory goals.